LifePrint has designed a new way of creating printed paper photos that can also come to life using a mobile companion application and augmented reality. The system is compatible on both Android and iOS devices and is even supported on the GoPro action camera, enabling users to print Apple Live Photos, Vines, GIFs, and more with ease. LifePrint has taken to Kickstarter and already passed its pledge go with still 57 days remaining on its campaign. Watch the video below to learn more about the new LifePrint system from its creators. 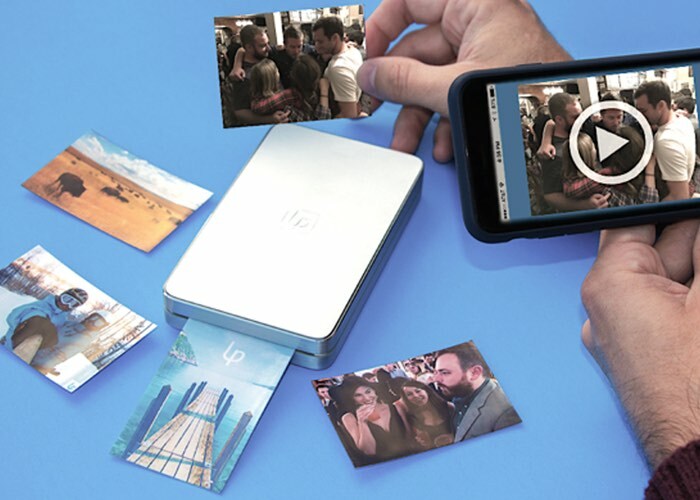 LIfePrint is an App, a worldwide social printer network, and a portable printer that enables a truly unparalleled photo experience. Create Augmented Reality photos, then instantly print those photos directly from your Apple or Android smartphone. Additionally, you can share these real photos with your family, friends, and followers by simply printing to any LifePrint printer in the world! Every photo can tell a story using our Augmented Reality HyperPhoto technology truly bringing photographs into the new millennium, it’s about time. Jump over to the Kickstarter website to learn more and make a pledge from $99 to get your hands on one of the new printers that can be used with the companion application to bring your photos back to life using a mobile device.